Quick Weight Loss is a program based in South Florida, first made famous by Rush Limbaugh's success in 2009. These centers are exclusively located in Florida; however, an online version of the program is available for anyone outside of the area. DietsInReview.com says that when you participate in the program, a consultant helps you come up with a weight loss plan and recommends certain foods for you. Although some people may experience weight loss through Quick Weight Loss Centers, the program is not appropriate for everyone. Ask a doctor before starting. The primary component of the Quick Weight Loss Center program is dieting. You are assigned a consultant that will help you come up with low-fat, low-calorie food options. Most plans only allow 1,500 calories a day. It takes 3,500 calories to lose one pound, so depending on your current daily calorie intake, you may slash more than this amount in one week, resulting in rapid weight loss. Your consultant may also recommend certain food products sold exclusively by Quick Weight Loss. A Quick Weight Loss Center consultant will likely recommend supplements for your diet, since your calories are restricted. Quick Weight Loss Centers offer their own brand of capsules and protein bars. The capsules are designed to help decrease your appetite. The American Heart Association says that there are no supplements or foods proven to help you lose weight effectively or safely. Most diets don't advocate regular exercise, a key component of weight loss and maintenance. By working out moderately 30 minutes a day, you can not only shed calories, but also build muscle and help naturally improve your metabolism. Exercise also decreases your risk of chronic illness. Quick Weight Loss Centers allow clients to exercise, but not at an intense level. The weight loss promised in this program is supposed to be rapid, as the name suggests. 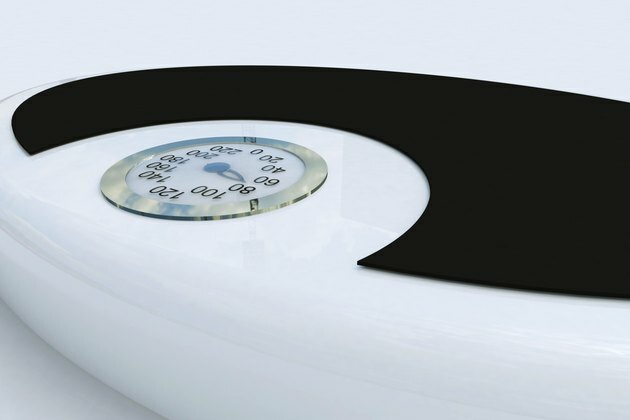 Losing weight too quickly, however, will likely cause you to gain most of it back. This type of dieting decreases the efficacy of your metabolism. When you go back to a regular diet, your body may not metabolize the calories effectively; the excess calories are then stored as fat. When you deprive yourself of calories, your body will start using muscle stores to supplement for energy. The American Heart Association doesn't advocate fad diets, and instead urges a balanced diet of grains, lean meats, fruits, vegetables and low-fat dairy products paired with regular exercise.